Excitement is building as the first wave of commercial 5G deployments start to take hold. But it’s also a confusing landscape, with varied and sometimes conflicting interpretations of what 5G is and what to expect from it. This confusion is impacting not just consumers but also complicating the industry’s ability to measure itself against a standard set of 5G expectations and requirements. To optimize short-term and long-term 5G adoption, it’s imperative that clarity regarding 5G rollouts and benefits is established for both consumers and the ecosystem. 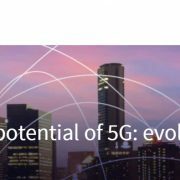 Our whitepaper provides an overview of what 5G is, what challenges remain, and why there’s so much excitement about the future of 5G networks.